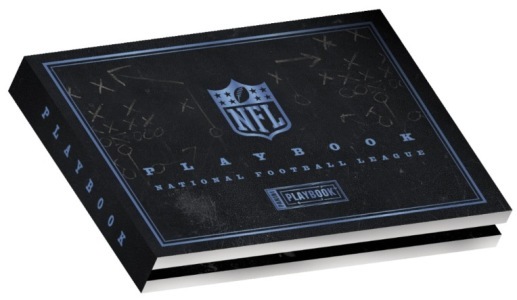 In a testament to the hobby's acceptance of fold-out book cards, 2011 Panini Playbook Football is developed with them in mind as an expectation and not a case hit. Granted, this is a high-end release that promises only hits but it makes the over-sized cards that much more common and accessible to collectors. 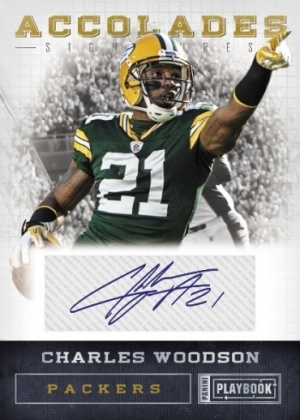 2011 Panini Playbook has a 136-card base set where every card is autographed. 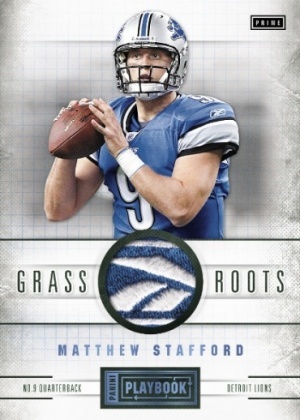 Included in the base set are 36 rookie-themed book cards that include both a prime memorabilia swatch and on-card autograph. One comes in every four-card box. Other book card highlights include Chronicle Signatures Booklets that feature as many as eight autographs, and Playbook Materials cards that come with eight memorabilia swatches. 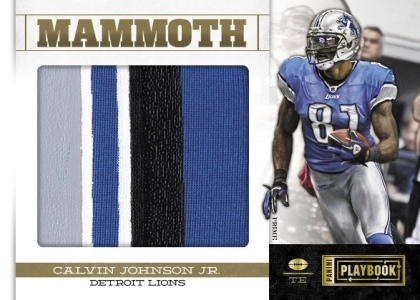 2011 Panini Playbook comes with an all-hits, 136-card base set. Common Signatures - 50 cards, #/99 or less. Rookies Signature Silver - 50 cards, #/299 or less. 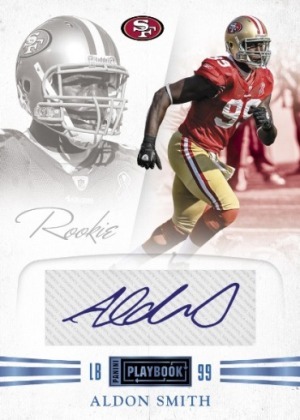 Rookies Booklet Silver - 36 autographed premium memorabilia cards from Rookie Premiere participants, #/399 or less. 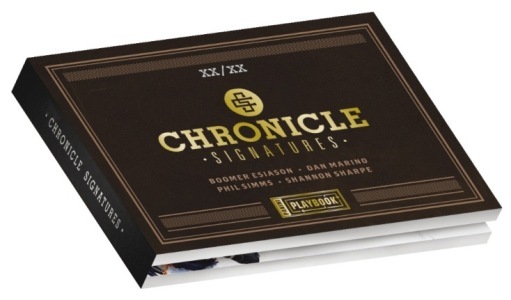 Chronicles Signatures Booklets cram up to eight autographs on a single card. All are numbered to 10 or less. 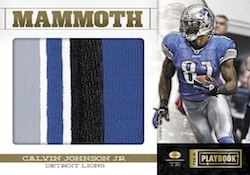 Playbook Materials Booklets includes up to eight memorabilia swatches. Numbered to 49 or less. Current and retired stars are on display inAccolades autographs and Limited Edition Materials memorabilia cards, both of which are numbered to 49 or less. Ten-box cases comes with at least three top Rookie Booklet cards and one Playbook Material card. 2011 Panini Playbook Green Doug Baldwin Autograph RC Seahawks 5 5 Last One!